Good morning Boothers! 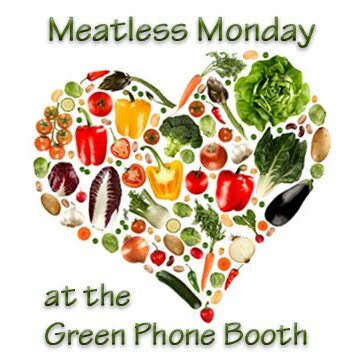 It's Meatless Monday again already. What's cooking at your place? My kids have only been back in school for a week and already half of the house is sick with colds. The rest are sure to fall soon. Tonight I'm making some comfort food for all of us -- Pinch My Salt's Potato & Leek Soup with home made croutons. Pinch My Salt is one of my favorite food blogs of all time. I owe my love of pumpkin baked goods - and my ability to make pumpkin puree from scratch - to Nicole. This is the first season that I've cooked with, or been able to identify, leeks and I can't get enough of them! I don't know that they're even really in season right now, but they were on sale at the grocery store and I just couldn't pass them up. For the croutons, I buy day-old bread on clearance at the store, cut it up into bite-size pieces, spray it with olive oil and sprinkle some spices on it. Sometimes I also add a bit of Parmesan cheese. Bake in the oven on a low heat until they're crunchy. What's your favorite comfort food or go-to meal when you're just not feeling well? Leeks are so good! With an oversupply of them, I chop them and freeze to add to soups and stews all year! 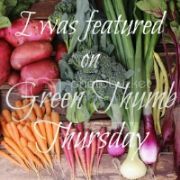 I have a post over on Nana Sadie's Place - will be doing much pick-up short-cut meatless meals for the next few weeks, but meatless they will be! LOVE leeks! I have a fennel leek soup recipe I've been wanting to make. Leeks are in season here (in StL); I bought some at the farmers' market a couple of weeks ago, and we apparently have some growing in our garden. I thought they were onions and pulled one that could have used some more growing time. Oops! I love soups especially when it rains. Eating hot soups is when the season is cold is so great. That soup recipe is going to be so perfect in any weather. I don't have a blog. Can I just write up a recipe in the comments instead of linking?